There is a wide variety of things to do around the Lake. This is the only theater in the valley and we are very proud to have it on the historical registry. 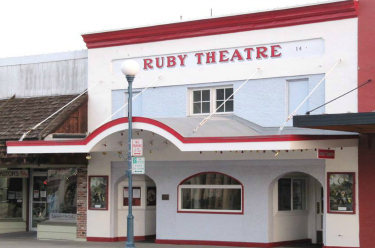 The Ruby shows current films, once or twice daily. 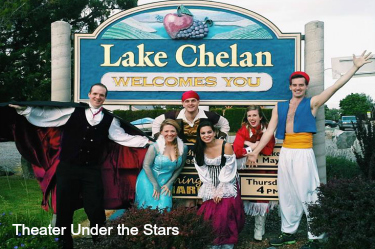 Lake Chelan’s Family Comedy Theater. Enchanting entertainment appropriate for ages 4 to 104, the live broad comedy farces make all members of the family “Laugh till their cheeks hurt”. Two shows run simultaneously throughout the Summer. Lake Chelan’s premium water slide park. Open during the Summer Season only. A small family owned bowling alley with the latest in bowling technology. Thunder Alley Cosmic Bowling and bumpers for the kids; sports bar and restaurant inside. Located at Don Morse Park in Chelan. Where the kids can get a feel for the open road… not. But they will have a great time. Open from Mid-June to Labor Day, daily. The first company of its kind in Chelan as well as Washington State. They have the largest parasailing boat, holding up to 15 people. Offers one of the fastest zip lines in North America- 4 lines, the longest is 880 feet. Great views of vineyards, cherry trees, and the Columbia River. 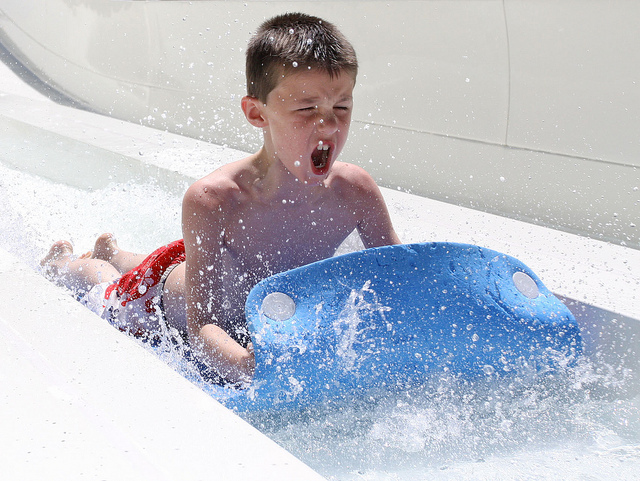 Providing Lake Chelan on-water fun for over 27 years. 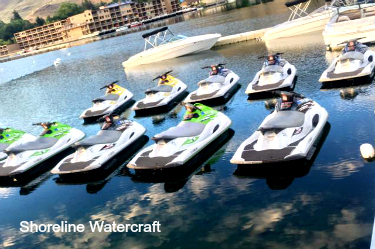 Offering the largest fleet and variety of rental boats on Lake Chelan. Featuring crafts by Bayline, Reinell, Cobalt, SunChaser Pontoons and Yamaha WaveRunners. Five locations around the lake… One right here on Wapato Point! Located at the Manson Grange Hall on Wapato Way. Open June-September every Wednesday and Saturday, 8:30am to noon. Featuring locally farmed foods, artisans, kids’ booths, fresh cut flowers and baked goods. Located at Riverwalk Park. Open June-September, every Thursday evening 4pm to 7pm. Featuring local musical talent, regional farms, wine/beer tasting, and local artisans. About 30 minutes away, Lake Chelan’s community ski hill for over 60 years! 70 acres of well groomed ski/snowboarding terrain, a snow tubing hill, cross-country skiing, and snowshoeing. Beginner to expert runs, fireplace lodge and eatery. Small Mountain Vibe – Big Mountain Terrain. 2,000 acre basin on the eastern side of the Cascade Mountains. Light powder, tons of sun, and amazing views; just 12 miles from Wenatchee.